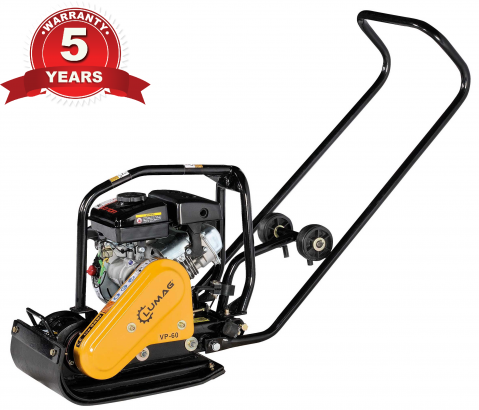 The Lumag VP60 Compactor Wacker Plate is lightweight, durable and reliable. This user friendly compactor comes complete with FREE rubber paving mat and transport axle! The transport axle is mounted on the back of the machine and clips up when not in use. The machine is powered by the excellent Loncin engine which is protected by a steel frame that also acts as a sturdy lifting eye. For ease of use the throttle control is mounted on the top of the folding handles. Please have a look at the video bellow.